And the winners are: Janny Huang and nemubits! Many thanx to everyone for sharing their firsts! So many great stories, so much to think about! Until next time! Winners, please get in touch! 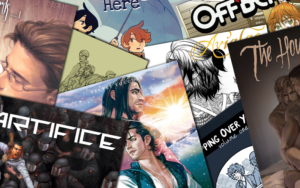 48-Hour Giveaway: Humble Bundle Pride Month Selections – 20 Titles!